The Department of Mechanical and Automobile Engineering jointly organized a two-day national workshop on “Emerging Technologies in Power Plant” on 3 rd and 4 th January 2019. 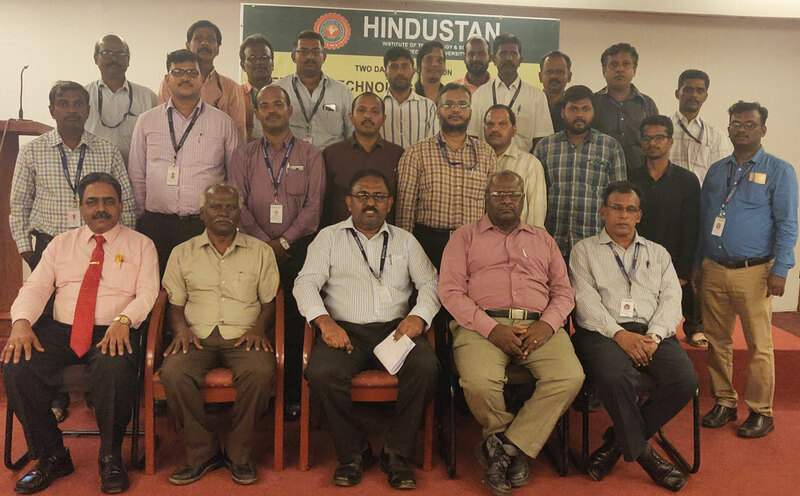 Faculty members from Department of Mechanical and Automobile Engineering as well as a few externals from NLC India Ltd. participated in the workshop making a fair strength of 30. The chief guest at the workshop Dr. S. Sakthivel, Director of Boilers, Govt. of Tamil Nadu briefed about the Boiler regulations, registration, safety and issues related to the licensing of it. Mr. A. Thangamuthu, General Manager. NLC India Ltd., as a keynote speaker addressed on the nature of super critical steam power plant, its operability and the general issues pertaining to it. Mr. Mathevan Pillai, Associate professor, Department of Mechanical Engineering, HITS elaborated on the functioning of CFBC boiler, sulfur removal and the efficiency improvement in CFBC. He further described about the numerous research studies associated with it. The participants were engaged in the group discussions, demonstrated their working knowledge gained from the workshop and also reflected on the newly acquired concepts and ideas associated with theme of the workshop.